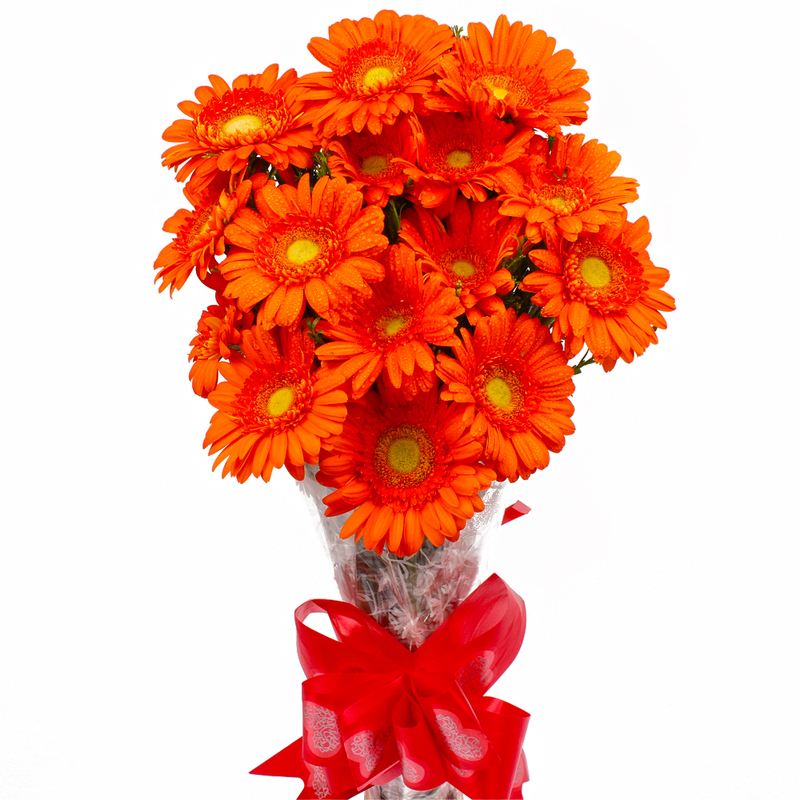 Product Consist : 15 Orange Color Gerberas with green fillers in Cellophane Wrapping with Ribbon Bow on it. 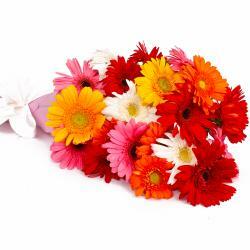 This Bunch contains 15 Orange Gerberas in a beautiful bunch which promise to soothe the senses with aplomb. 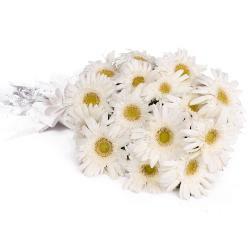 The bunch has been impeccably packed in cellophane and comes with a matching ribbon bow on top for added elegance and aesthetic appeal alike. 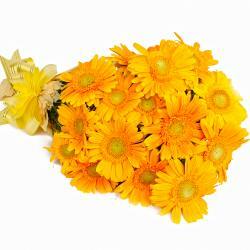 The gift pack will definitely be really hard to resist without a doubt. 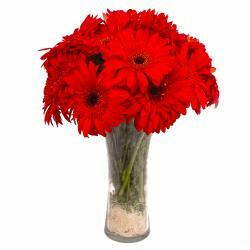 It will never cease to delight you and promises to be the perfect gifting solution for special occasions like Birthday, Anniversary, Good Luck Gifts, Gudi Padwa / Ugadi, Daughters Day and even Diwali. 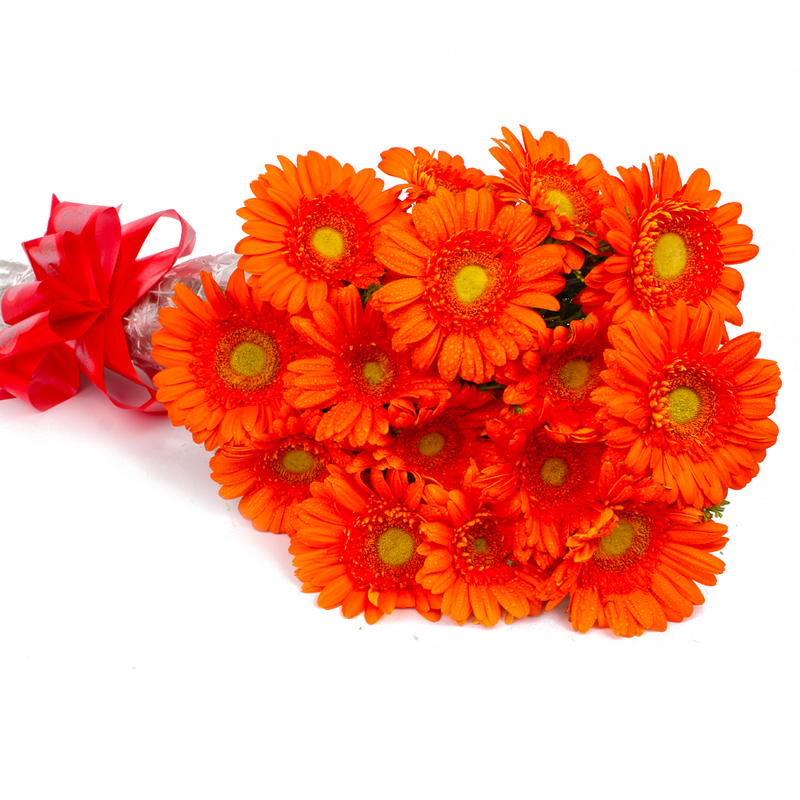 Product contains : 15 Orange Color Gerberas with green fillers in Cellophane Wrapping with Ribbon Bow on it.